Abilities have cooldowns for a reason – a decision has to be made as to when the most they will be the most beneficial. Don’t just use a cooldown when it’s up, make sure that it is put to the best use possible. 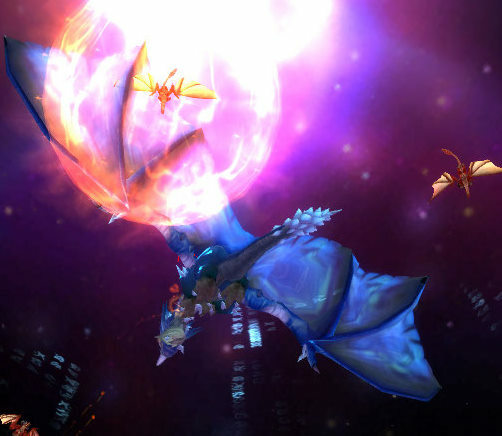 Using Starfall in conjunction with Lunar Eclipse is an example of a small thing that can help boost damage without needing to do too much extra work. Along the same line, using Treants during the air phase of a dragon encounter isn’t really the best timing. 2. Many abilities, handle them! I’m guilty of forgetting to use certain abilities, but at the same time I use certain others that my raid leader has looked at the combat log and said – “… and you threw in a few random typhoons, I see?” Basically, don’t forget what is available. My personal problem is forgetting to use Wild Mushroom, as I started out as feral and always thought it wasn’t a very good ability to use. The damage was low, the mana cost was high, it was useless. Then Magmaw came around, and I was told in no uncertain terms that I could have used them to help with the adds. Again, with my switch from melee to ranged damage, this is a big key for me. Know what is going on around you at all times, and what could happen to you. Good practice for this is the first boss in Deadmines, which gives the achievement “Ready for Raiding” for a reason: if you avoid all the junk that he deals, it’s a good indication that raiding is on the way for you. These three simple things will help anyone raid better, and hopefully I’ll be able to remember these things as well. Any class can benefit from these tips, once I have more experience under my belt I’ll try to make one that’s more boomkin-specific. I have a tendency to be a slacker, procrastinator, what have you. This is even more of a factor when something creative is involved – a blog being one of them. That being said, I’m going to try to pick this thing up again. Topic number 1: Blizzard and Real ID. There are many many different articles already posted about this. I, like the majority of people, was completely opposed to the idea of having your real name be posted on a public forum. Unfortunately, Bashiok had to be the object lesson of just how horrible of an idea it was. Maybe that was one of the factors that tipped the scales? Who knows. In the end, the fact that they changed their minds and listened to what their fans and subscribers were saying is the most important thing. It’s just too bad that they made the mistake of announcing it in the first place. Topic number 2: My continuing altaholic-ness. My wife and I decided to make new characters to level up together, which we had done previously. I once again deleted the rogue that I had been using for a bank and auction house character, and made a new Blood Elf rogue. I truly did forget how much fun I had leveling a character with my wife – it’s nice always having backup for the quests that are a bit difficult like killing Dar’Khan Drathir. Along with this, I’ve been working on my Alliance mage again. As of writing, he just hit level 66, and is getting closer to heading to Northrend. Before I do so, I want to make sure that I see as much of Outland as possible from the Alliance point of view. This guy is my highest level Alliance character, barring death knights. 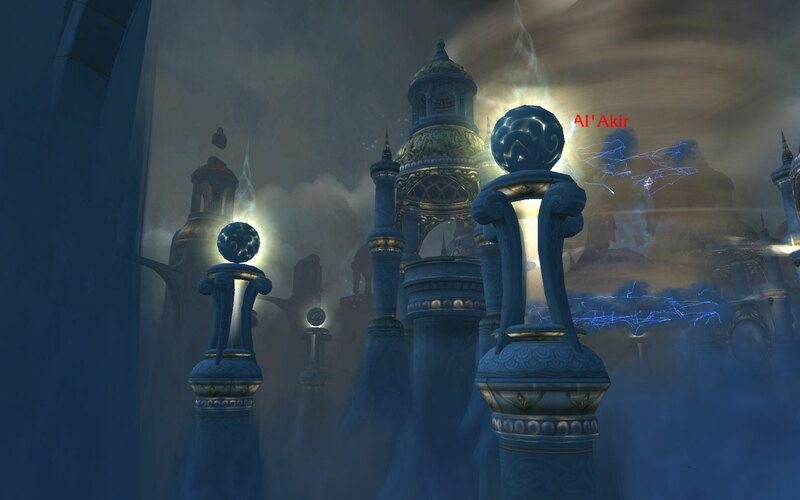 I hate to say it, but I really like the Alliance architecture and aethetics for their environments. Small things like the boat going from Stormwind Harbor to Borean Tundra – it looks awesome! All the Horde gets is a Zeppelin with some lights on it. Topic number 3: Cataclysm. Holy crap, do I ever want to get into the beta. Everything that I’ve seen so far is amazing – and I especially can’t wait to start leveling up my Goblin priest (see, there I go again). Supposedly another wave of invites is coming out this week, so I’ll be checking my battle.net account quite often. In closing, I do hope to start updating this more often. The problem is that I get ideas for a post at random times, and never remember later on what my idea was. I need to start carrying my iPod with me so I can jot down notes.